Richard Feloni/Business InsiderTeam War Room gets its name from the original name for the Business Insider Strategy vertical. I frantically put the final number into the lock combination and pulled the latch free right as a pale hand fatally grabbed my leg. I was dragged to my doom by a ravenous zombie, but the chest was opened for my teammates to inspect, in hopes they could find another clue leading to their freedom. I died a hero’s death (at least that’s how I like to see it). 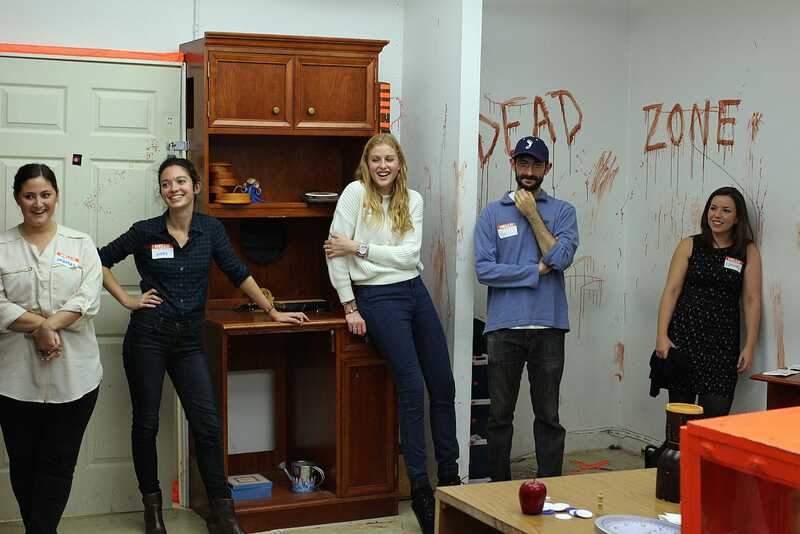 This was all part of an unusual team-building exercise seven of my colleagues and I participated in last week in New York, called “Trapped in a Room with a Zombie” and produced by Room Escape Adventures. 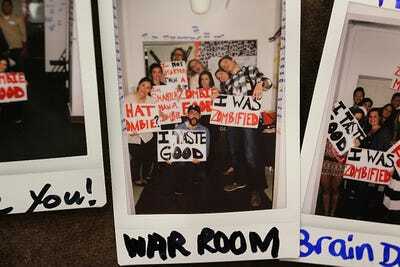 We were team War Room, inspired by the original name of the Business Insider Strategy vertical. It ended up being a fun and unique experience that forced us out of our routine, broke down the team’s hierarchy, and gave us a great story to tell. The premise is that your team is locked in a small room with 60 minutes to escape. You need to figure out a way to gather clues from around the room and determine the final five-direction combination that will bring your team to freedom. All the while, an actor dressed up as a zombie is chained at the front of the room, crawling along the floor and growling. Richard Feloni/Business InsiderAssociate Producer Mallory Wu served as our guide. Richard Feloni/Business InsiderAnything in the room might be clue. Every five minutes the zombie’s chain is unravelled a bit more, giving them a better chance to chase you down. 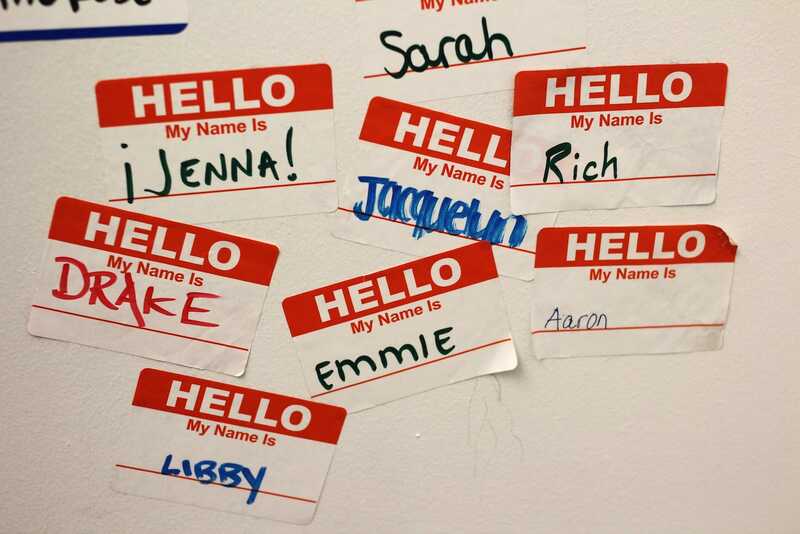 If the zombie tags you, you’re sent to the “Dead Zone,” a corner of the room where you can yell out hints to your team but can’t move. The storyline goes something like this: A doctor became infected with a zombie virus and locked themself in a room to keep humanity safe — except that your team becomes locked in there, too, and you have to solve the puzzles the doctor created to escape the room and avoid the zombie. The room itself had relatively low production value, consisting of a bunch of old furniture, splattered red paint, and various odds and ends. Solving the puzzles involved overturning drawers, looking for keys, decoding riddles, and running from the zombie. It was really anyone’s game. Our team manager, senior strategy editor Jenna Goudreau, was the first to fall to the zombie, and our intern Emmie Martin emerged as a leader, solving many of the puzzles. Whenever we struggled, our guide, associate producer Mallory Wu, would give us silent guidance by pointing in the direction we needed to look. She told us that hosts, like herself, and zombies are trained to adjust how much help to offer depending on how the team is working on its own. The fastest team solved every puzzle and escaped the room in 52 minutes and 38 seconds, and Wu said she barely helped them. We seemed to have an exceptionally high handicap, and still didn’t manage to escape in time. We were the 150th team to fail; though it was somewhat comforting that only 42 teams have successfully escaped, or about 22% of all participants. Richard Feloni/Business InsiderOur team goes over how we could have solved the puzzles in time. Wu told us at the end of the experience that we could have benefitted from a more concrete approach rather than having one or two people take the lead for any given puzzle while others looked on. She explained the remaining steps we needed to take, which I estimate would have taken at least a full 15 minutes more to solve. 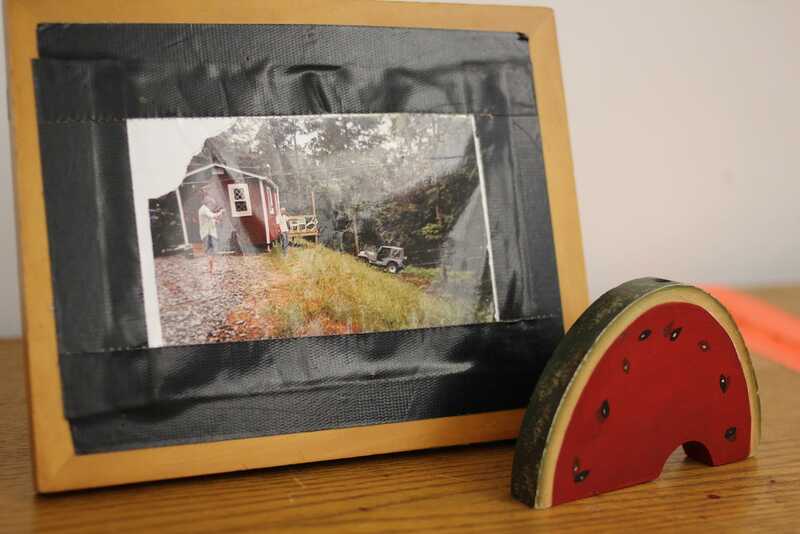 If our experience is any indication, only Martin would survive a zombie apocalypse. Our team hasn’t used any of our newfound puzzle-solving strategies in the office, but we did have a chance to see that any of us can step up to get things done for each other when the clock is ticking, whether or not the undead are coming for us. And even though we were a bit dysfunctional as a puzzle-solving unit, it was a pretty great way to spend a Friday afternoon. As we discussed our experience over drinks afterward, we realised that we now all share a ridiculous story to tell, which on its own is worth taking the challenge. 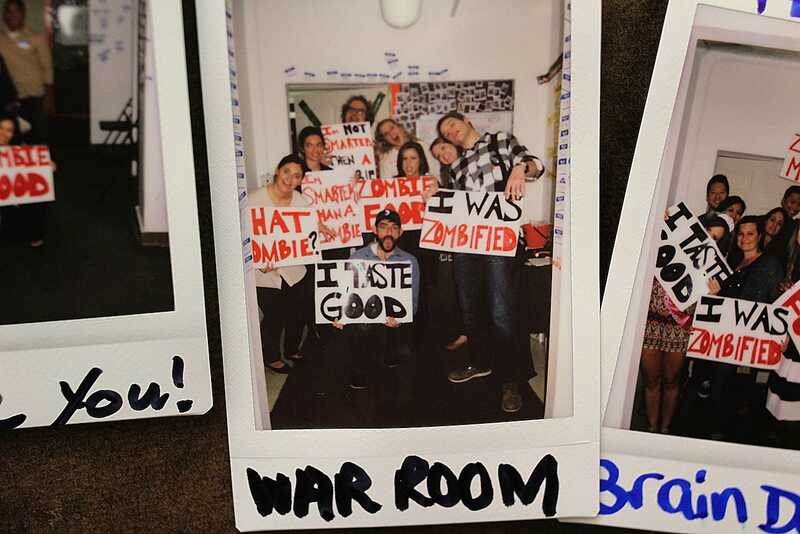 Richard Feloni/Business InsiderThe zombie broke free of its chain, bringing team War Room to its grisly end. Richard Feloni/Business InsiderBut our names live on forever. 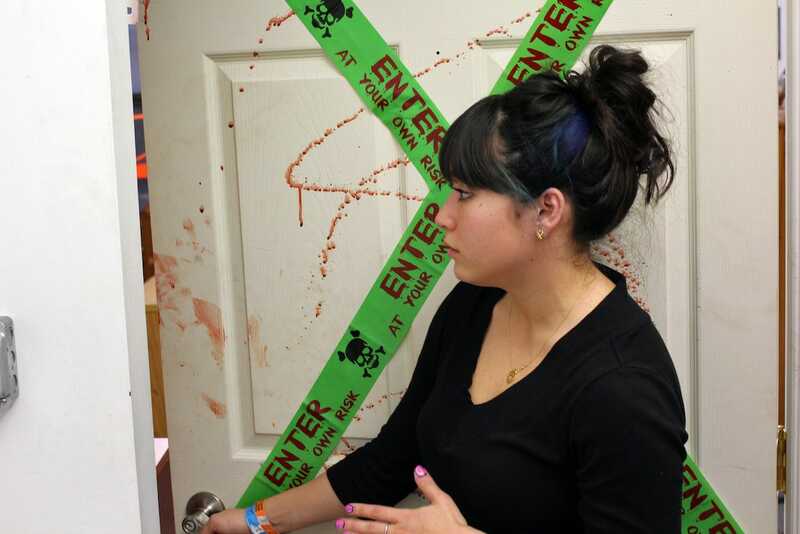 Room Escape Adventures is one of many “real-life room escape” companies springing up in North America, Europe, and Asia, a trend that began in Europe a few years ago. Marty Parker added Room Escape Adventures to his team-building experience company Bucket List Productions last year in Chicago. He opened the New York location that we visited this past June, and a second Manhattan location in September. We were provided complementary tickets to Trapped in a Room with a Zombie and asked to refrain from sharing photos of puzzle clues or the zombie. Tickets normally go for $US28 per person. Parker says the company has sold about 3,700 tickets to date, which works out to around $US100,000 in sales, between the two New York locations. He says he got the idea for his spin on a room escape production when his mind drifted while driving home after putting on a Bubble Palooza event. “I laughed so hard at the concept of watching people run around a room like a ‘Scooby-Doo’ episode trying to communicate with each other while avoiding a zombie, that I almost wrecked my truck!” he says.